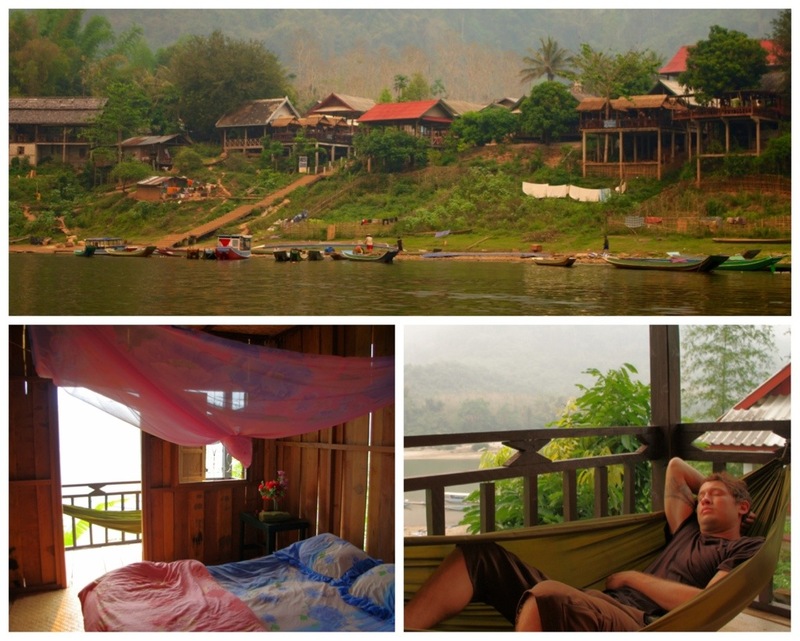 Three hours north of Luang Prabang lies small riverside town named Nong Khiew. 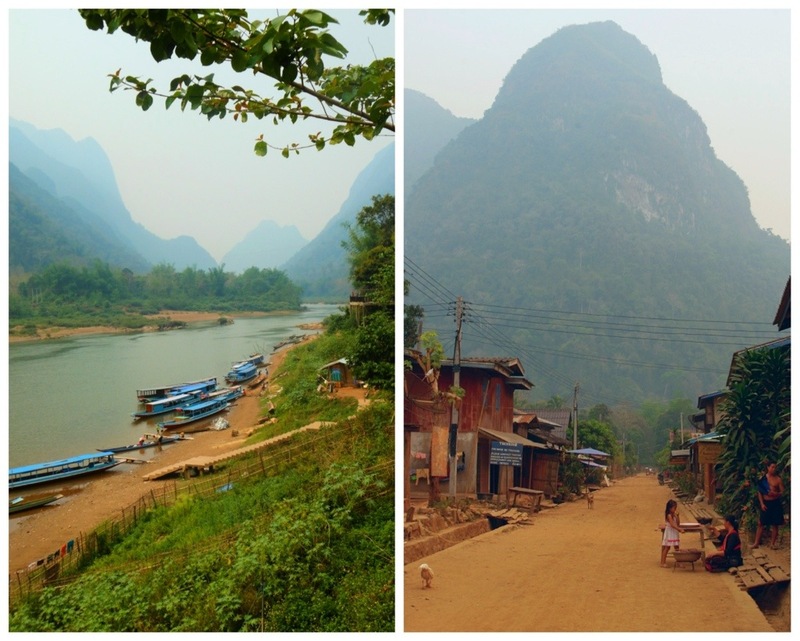 An hour’s boat ride further up river is an even smaller town called Muang Ngoi – our next and final destination in Laos. With only five weeks of travel remaining and thoughts of jobs, bills, school and an upcoming move across the country preoccupying our minds, Jeremy and I have been constantly reminding ourselves to savor every last minute here. We figured we better get all of our “doing nothing” out of our systems now, so that’s what we were determined to do – nothing. It was glorious. Muang Ngoi turned out to be the perfect place for passing two days in peace. We slept in our cozy little bungalow while the rainy season began to show its colors, and wandered only as far as the village would allow us (about 10 minutes in either direction). The afternoons were spent curled up with a book at one of the cute restaurant balconies overlooking the river. Over dinner, we would stare at the hazy hillsides, never missing the moment the sun dipped below the horizon. We fully enjoyed each others company and the company of other travelers on the same “do nothing” mission. 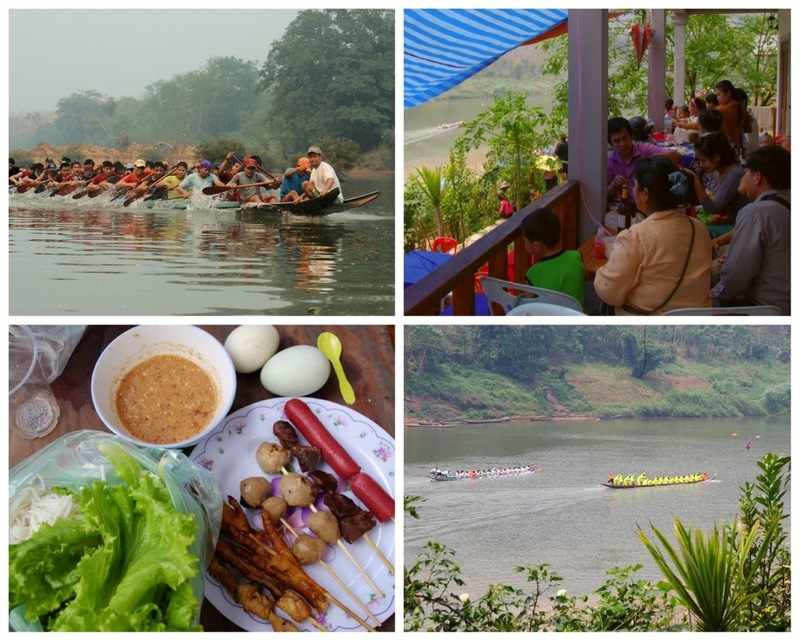 On the day of the boat races, we took the morning long-tail back downriver to Nong Khiew. By the time we arrived, the town was already in full party mode. Our hotel happened to be hosting one of the largest parties on the river so we had front row seats to the race and festivities. After a few BeerLaos and an excellent lunch of grilled meats (though I couldn’t say what kinds of meat…), rice noodles and herbs wrapped in lettuce, and fertilized duck eggs for dessert, we were invited to a dance party in the schoolyard. The kid who invited us was only 19 and clearly not interested in the race, but we were feeling pretty giddy by that time and weren’t about to refuse an invitation to dance! With our new friend, we danced, drank, danced, and drank some more until the sun went down, and then – like clockwork – everyone disappeared. I have to admit, I prefer the Lao style of partying to the American style. How can you beat a nine-hour party followed by a full nights sleep and no hangover? It’s genius. 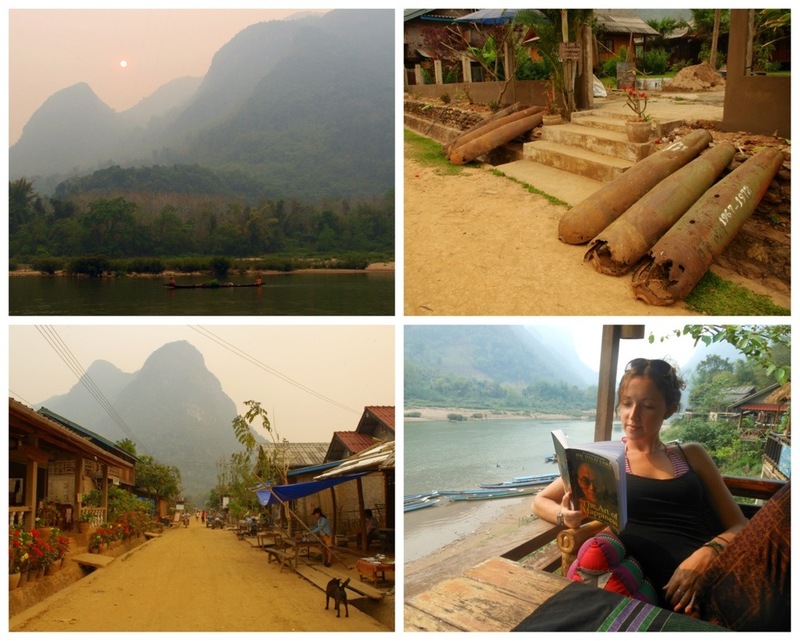 Our three days in Muang Ngoi and Nong Khiew were a perfect conclusion to our time in Laos. 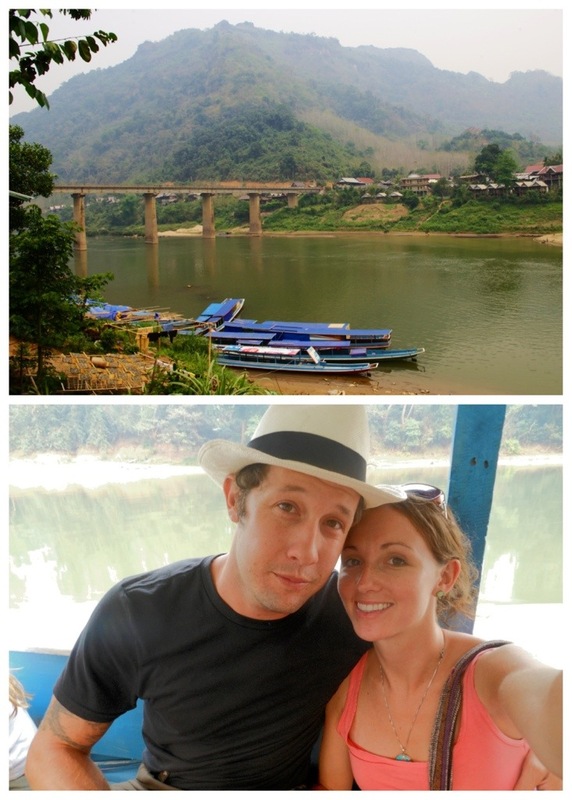 Relieved of stress and revved for a wet and wild New Years, we said our last goodbyes to Luang Prabang and headed to Bangkok for Songkran. ← Where Has All the Wildlife Gone?